Tourism New Zealand chief and Devonport resident Stephen England-Hall believes the area could make better use of its golf course as part of a push to get tourists spending more when they visit. He talks to Helen Vause about his tourism vision, telling the New Zealand story and suggestions for his local patch. 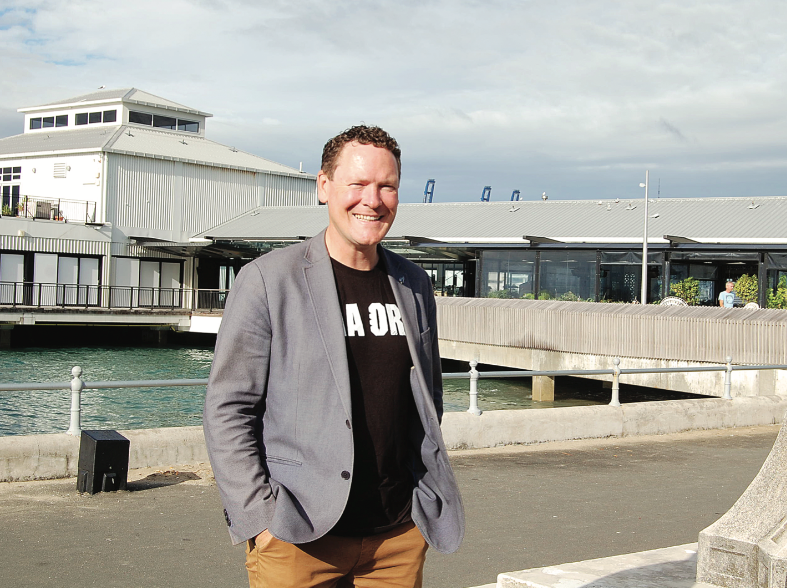 The man leading the promotion of New Zealand as a tourist destination is a Devonport resident and has some ideas about how the area could attract more visitors. Stephen England-Hall has for nearly two years been chief executive of Tourism New Zealand, the agency responsible for promoting our country as a destination. Locally, he suggests there is an opportunity to “turn up the volume” on the marketing and utilisation of the Waitemata Golf Club course. The idea, he reckons, is to get tourists spending more, and doing more while they are here, without upsetting the locals. England-Hall also believes more people should be able to live in the heart of Devonport and that increasing the central population would support an increase in core services, open up more options and bring more things to do. He’s keen to see redevelopment of the New World car park and smarter use of space in the village centre. “This is a beautiful place with so much on offer and there is an exceptional community here full of warm, lovely people,” he says. 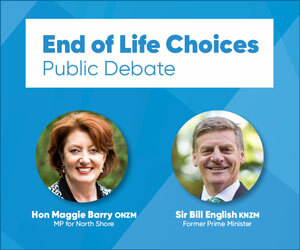 On a national scale, the plan to get more money out of those who come to New Zealand is bearing fruit, England-Hall told a breakfast meeting in Devonport, where the Flagstaff caught up with him. Tourism contributes over $39 billion to our economy, with about $16.2 billion of that coming from international visitors. It’s our largest export earner and a significant employer, with about one in seven Kiwis directly or indirectly employed in tourism. Certainly, tourism is growing. By 2024, visitor numbers are expected to reach more than five million a year and those people are expected to spend an additional $4.6 billion in hotels, cafes, shops and attractions. To many, the visitors may seem like a mass influx and, depending on who you ask, they can be a worrisome pest or an opportunity on legs. It’s not news to England-Hall and his team that we have mixed feelings about visitors, and the pressure they put on infrastructure in some places and communities, including Devonport. Increasingly, most Kiwis are coming round to feeling international tourism is good for New Zealand, he says. Tourism New Zealand’s latest survey of national sentiment showed that public concerns about visitor numbers had stabilised and around 95 per cent of Kiwis now agree that tourism is good for New Zealand. Visitor surveys show that around 94 per cent report that their visit to New Zealand either met or exceeded their expectations. Who comes here, what they do, where they go and what they spend is a complicated mix 44-year-old England-Hall is in the thick of – with the help of sophisticated technology, data analysis, and targeted marketing. A key part of the job, he says, is to keep targeting high-value visitors, who spend more here than their counterparts used to. And, to get more of them into the regions and coming here across all seasons. Telling the New Zealand story isn’t where England-Hall originally thought he would find himself, and the career pathway he was on didn’t obviously point to tourism. He was recruited for his job when he was chief executive of Loyalty New Zealand – a company best known for the Fly Buys programme – after returning home from working in the Northern Hemisphere. His international experience was in the world of digital marketing, with data and technology companies in the UK and North America. Earlier in his career he’d made a good enough impression to get into the University of Cambridge MBA course – without an undergraduate degree. Now he serves as a member of several Cambridge University advisory boards. Alongside the Tourism New Zealand job, England-Hall also sits on the New Zealand Screen Production Grant panel and is a founding member of the New Zealand Data Futures Partnership think tank. It’s no accident that England-Hall, his wife Suzie and their children, Hudson and Evie, are living in Devonport. When the family returned to New Zealand six years ago, they were looking for the pick of the city’s locations and somewhere near the sea to make a home. England-Hall says Devonport was an easy choice and it’s the place he wants to stay. He’s a ferry commuter and away from work he pounds the pavements on regular runs or is out on his paddle board. It’s no secret that some regions are feeling the pressure and will need support to get tourism working well for both local communities and the visitors, he says. For many years we’ve been sold to the world as ‘100 per cent pure’, but in line with the latest promotional strategy, we can expect to hear more about ‘enrichment’ very soon, he says. Research shows as many as 140 million people are currently considering New Zealand as a holiday destination (along with many other places). They’re not all coming, says England- Hall, but getting the attention of those we do want to come is a huge job. In fact, according to a saying in the business most of those travelling millions would be more likely to buy an Aston Martin than choose to come to New Zealand. And of the 2500 planes leaving the US every day, only a handful are bound for New Zealand. And just a fraction of the 115 million travelling Chinese pick New Zealand to visit. When they do come here, some just want an Instagram moment while others may want much more active outdoor experiences. Either way, there are many untapped opportunities for them, and for this country, England-Hall says. This article originally appeared in the March 22 edition of the Devonport Flagstaff. Download PDF.